An action RPG title for PlayStation 4. It focuses on fighting against hordes of huge monsters using a wide arsenal of weapons and attacks. Battles are fast-paced and based on arcade controls, and players can go through the campaign by themselves or in cooperation with other players. An enhanced version of the second entry in the God Eater series from Bandai Namco Entertainment, unlike the original also available on PC and PlayStation 4. Aside from the old content, God Eater 2: Rage Burst offers many improvements, both in visuals and gameplay. We still receive a dynamic action game with RPG features, with its story taking place three years after the previous installment. We traverse the land as a nameless hero and eliminate large beasts. An arcade battle system stresses out on player’s reflexes, and it is well-advised to come with proper tactic before facing enemies. Each of them has different strong and weak points, finding which is the key to success. Heroes can use a vast arsenal of giant weapons, tied to certain combat styles and tactic. Aside from single player campaign, God Eater 2: Rage Burst offers cooperation mode for three players. An enhanced version of Gods Eater Burst that – unlike the original – also appeared on PC and the PlayStation 4 console. God Eater Resurrection is set in a post-apocalyptic world, in which humanity’s habitat on Earth is threatened by appearance of powerful monsters known as Aragami. Players take control of a teenager, who joins an organization dedicated to extermination of those beasts. As we progress through story campaign, we follow the protagonist on his or her way from a novice to a squad leader and watch as they change the course of the entire war. God Eater Resurrection bases on an arcade battle system. After their character is created, the players’ party is dispatched on missions, most of which comes down to battles against giant beasts. Weaponry can be used in four different modes, acting as a firearm, a melee weapon, a protective shield, or as a giant beast wielded by the player. Additionally, God Eater Resurrection offers new plot threads and improved visuals. 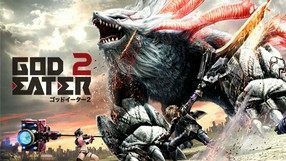 A sequel to the dynamic action game with RPG features inspired by the Monster Hunter series and developed by Bandai Namco Entertainment. Like its predecessor, God Eater 2 was made for PlayStation handhelds. We play as a hero wielding a magical weapon, whose party must deal with more and more powerful monsters. The story starts three years after the events of the first game, in which the world witnessed the invasion of monstrous beats, halted only by the titular God Eaters. An arcade battle system is still based on player’s reflexes, and it is important to come out with proper tactic before the fight. Each adversary has its own strong and weak points, discovering which is the key to success. Hero’s weaponry has been expanded with two new weapons: Boost Hammer and Charge Spear. Aside from single player campaign, God Eater 2 offers improved multiplayer mode. A dynamic action game with RPG features, inspired by the Monster Hunter series. The story of Gods Eater Burst starts when the world lies in ruins, the destruction caused by mutated beasts known as Aragami. Only the selected few, the eponymous Gods Easters, are able to face and defeat the Aragami. W start the game by creating our character, with many options for customization available, including our hairstyle, shape of face, skin color, costume and voice. We travel together with three companions, controlled by other players or artificial intelligence, hunting for dozens of different Aragami. Gameplay is purely arcade, meaning that victory depends on the player’s reflexes and dexterity. As we progress through the game, we find special items that can be used to modify our arsenal and ammunition. Each weapon can change into four forms: blade, gun, shield and predator, transforming into a giant monster. God Eater is an action RPG developed by Namco Bandai for PlayStation Portable. The game takes place in an undefined dystopian future. 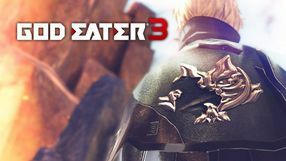 We begin our adventure right in the middle of a conflict between Aragami, god-like creatures that attacked our planet, and God Eaters, the only humans capable of defeating the invaders. We play as one of them, and our task is to defeat the Aragami. Three other heroes aid us in combat. We use a powerful and universal weapon, Deus Ex Machina, when fighting our enemies. We can transform it into a blade, a gun, or the weapon's special form anytime we want to. The last one allows us to drain life force from our enemies and strengthen our shields, or use the Aragami's special attacks against them. The developers created over one hundred levels and many types of enemies, each characterized by its various strengths and weaknesses.